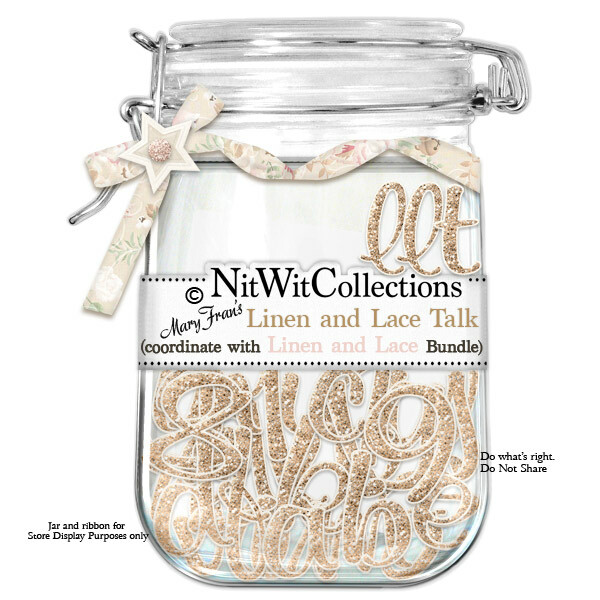 "Linen and Lace" Talk is a glitter covered alpha to use in your scrapbooking layouts and cards to create titles, spell out a sentiment you want to highlight and so much more! This colour coordinated alpha is a must have accompaniment to our FQB - Linen and Lace Collection. 1 AlphaWit set of lowercase letters, &, apostrophe, exclamation mark, period, question mark and set of numbers (0 to 9).